America needs “a new and fundamentally different approach to incarceration” that prioritizes respect for human dignity, says the Vera Institute of Justice. 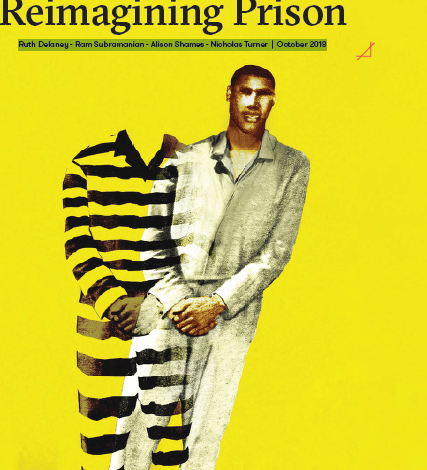 In a major report entitled “Reimagining Prison” released Oct. 10, Vera outlined a blueprint for correctional authorities that would dramatically transform prison practices and design, ranging from allowing inmates to choose their own clothes to providing better health care. “Ongoing concern about reducing the number of people in prison has not been matched by an equally forceful focus on transforming incarceration itself—an experience that has become harsher and more onerous in direct response to decades of ‘tough on crime’ political sentiment,” the report said. “Over this country’s long history of using prisons, American values of fairness and justice have been sacrificed to these institutions in the name of securing the common good of public safety,” Nicholas Turner, Vera’s president, said in his introduction to the report. According to Vera, reimagining the nation’s prison system has taken on an even higher priority because the system has remained one of the major bastions of institutionalized racism. “It is time to acknowledge that this country has long used state punishment generally—and incarceration specifically—to subordinate racial and ethnic minorities,” the report said. The report said ultimate reform requires a redesign of prison architecture. “The architecture and design of a facility impacts how incarcerated people interact with each other and the relationship between staff and those held in prison,” the study said. The report pointed to some examples of correctional reform that have already begun in the U.S., sparked by a visit last year by leading correctional administrators to Europe. Pennsylvania has launched new transitional housing units where residents are given access to enhanced reentry services, more individualized need-based support, and specialized vocational programming in high-demand fields. Since 2017, inspired by a German model, the Cheshire Correctional Institution in Connecticut has introduced the T.R.U.E. program for young adults, where cel ldoors are left open for 13 hours each day, and residents are allowed free reign to use the common space, a dedicated outdoor area, or one of many converted cells within the housing unit that serve as a library, study room, meeting room, and quiet space. At the same time, they are provided a “heavily structured” program that includes therapeutics essions, school, and life-skills programs. The program has received support from Vera. “Prison in America continues to be a place of severe hardship for those held there—a degree of hardship that is largely inconceivable to people who have not seen or experienced it themselves or through a loved one,” said the report, arguing that it is time for a “dramatic reconsideration” of corrections. The full report is available here, and a summary can be downloaded here.